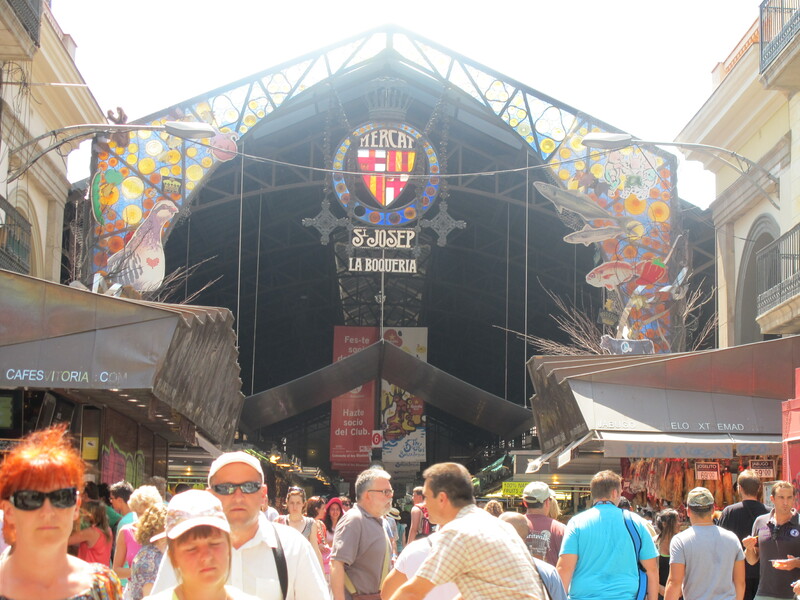 The Mercat de la Boqueria was one of the highlights of my Barcelona trip in 2010. It was on my to-go list as it was recommended to me by the Bag Hag on Twitter. Located along the busy pedestrian area La Rambla, it was easy for me to miss it at first. If I remember correctly, the fastest way to get there is to take the L3 and get off Liceu. The market is right above the station, near Dunkin’ Coffee. I got there at around noon, so I was a little hungry. I didn’t want to eat anything heavy because it was really hot, I just wanted something light and refreshing. I ended up buying fresh juice from a fruit stall and ensaymada from a bakery. That ensaymada was hands-down the best piece of bread I have ever eaten! The Boqueria market has a fresh, colorful, sweet, savory and exotic assortment of food – just looking at everything is an experience itself. 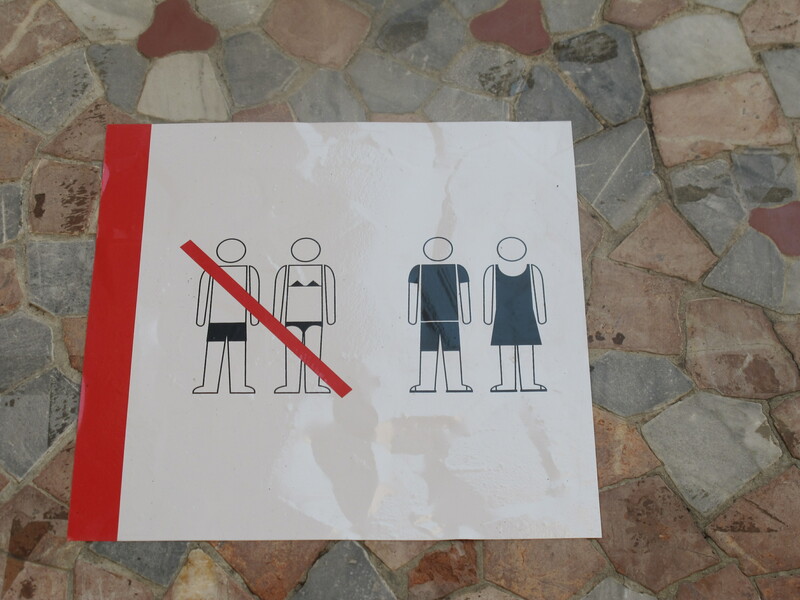 The dress code: no swimwear allowed! That sign was absolutely necessary as there actually were lots of tourists walking around in the city dressed as if they were at the beach. Fresh fruits! For the health junkies, there were pre-mixed fresh fruit salads available. I got myself fresh fruit juice. Not really sure what these were, but they were moving!